In New South Wales, it is a serious offence to deal with proceeds of crime. If you are found guilty of a proceeds of crime offence, then you may be sentenced to a custodial sentence. Our proceeds of crime defence lawyers will utilise their expertise and thorough knowledge of the law and court system to form a quality legal defence. If you have been accused of a money laundering offence or a proceeds of crime offence, then contact George Sten & Co Criminal Lawyers now. Call us on (02) 9261 8640 or email georgesten@criminal-lawyer.com.au. If your matter is urgent and occurs out of ordinary business hours, then call our dedicated 24/7 phone line on 0412 423 569. At George Sten & Co Criminal Lawyers, we specialise solely in criminal law. Our experienced solicitors have years of experience working on and winning cases involving money laundering and the proceeds of crime offences. Dealing with property suspected of being proceeds of crime is a criminal offence. This offence is set out in sections 193B and 193C of the Crimes Act 1900 (NSW). Under section 193B, a person who knowingly deals with the proceeds of crime is guilty of a criminal offence. Furthermore, a person who knowingly deals with the proceeds of crime and intends to conceal the fact that it is proceeds of crime is guilty of a more serious criminal offence. You are also guilty of a criminal offence if you are reckless in dealing with the proceeds of crime. Under section 193C, a person if guilty of this offence if the person deals with property and there are reasonable grounds to suspect that the property being dealt with is proceeds of crime. At the time of dealing with such property, it must be worth at least $100,000. This section also outlines a lesser offence, which involves a person dealing with property, where there are reasonable grounds that the property in question is proceeds of crime and is worth less than $100,000 at the time that the property is dealt with. The defendant has stated that the dealing was dealt on behalf of another person, but has not provided information that allows authorities to locate the other person. Section 193B(4) introduces a defence to the section 193B offences. These offences can be defended is the defendant can satisfy the court that they dealt with the proceeds of crime to assist with the enforcement of State, Territory or Commonwealth law. Section 193C(4) outlines a defence to section 193C proceeds of crime offences. In order to defend your case, you will need to prove to the court that you had no reasonable grounds for suspecting that the property was in fact proceeds of a crime under the law of the Commonwealth, the States, Territories and any other country. If your case allows, the lawyers at George Sten & Co Criminal Lawyers will utilise this defence to defend and win your case. If you are charged with an offence under section 193B of the Crimes Act 1900 (NSW), then you will be liable for up to 20 years imprisonment. If you are found guilty of a proceeds of crime offence under section 193C of the Crimes Act 1900 (NSW) involving property with value greater than $100,000, then you are liable for up to 5 years imprisonment. If you are found guilty of a proceeds of crime offence involving property with value lesser than $100,000, then you are liable for up to 3 years imprisonment. Whenever there is a risk of imprisonment, it is imperative that you have a legal defence team on your side. George Sten & Co Criminal Lawyers will work their hardest to reduce or completely eliminate the prospects of a court imposing a term of imprisonment. If you have been charged with a proceeds of crime offence, then it is likely that authorities will utilise the Confiscation of Proceeds of Crime Act 1989 (NSW) to confiscate the property that is being dealt with. If you have been accused of or charged with a proceeds of crime offence, then you should contact George Sten & Co Criminal Lawyers immediately. These offences carry burdensome penalties, which can have detrimental effects on all aspects of your life. Having an expert legal defence team on your side, from the beginning will be a great contributing factor towards your success. Our lawyers will work with you to build a quality legal defence that aims to minimise penalties to the largest extent possible. For accurate and timely legal advice, call George Sten & Co Criminal Lawyers now on (02) 9261 8640 or email georgesten@criminal-lawyer.com.au. Our dedicated legal team understands that sometimes you may require legal advice outside of ordinary business hours. 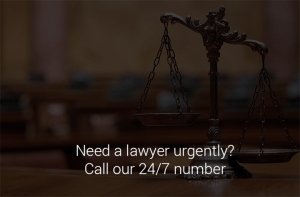 That is why you can contact one of our experienced lawyers at anytime on our 24/7 phone line 0412 423 569.